Located in Arnprior, Ontario, this motel is 20 km from the Mount Pakenham Ski Area and less than a 10-minute drive from Lake Madawaska. It features free Wi-Fi. 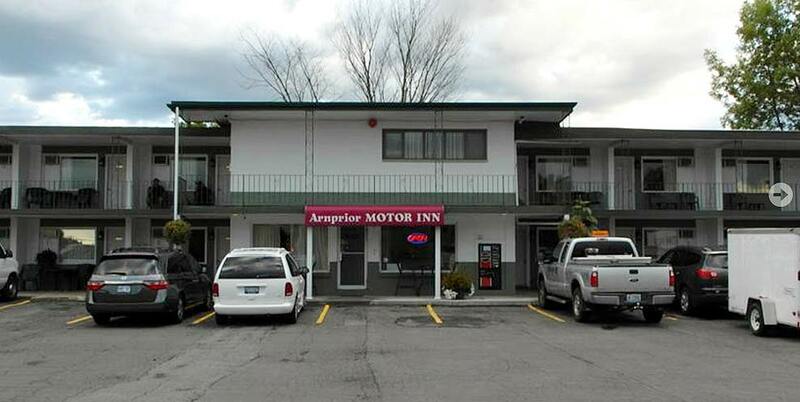 A microwave and refrigerator are included in each simply furnished guest room at the Arnprior Motor Inn. They are equipped with cable TV and free local calling. The front desk of this pet-friendly motel is open 24 hours a day and a continental breakfast is served in the mornings. Free parking with cold weather plug-ins is available.